Gabriele Galateri di Genola has been a CEO for the best part of the past three decades. 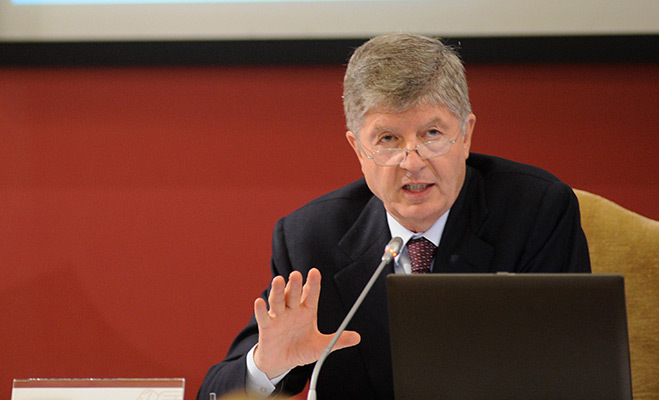 His latest post, at the helm of Assicurazioni Generali, Italy’s largest insurance company, came after 10 years as CEO of Fiat and four years heading Mediobanca, a leading investment bank and top Generali shareholder. It is safe to say that Galateri di Genola has become one of Italy’s most prominent chief executives. Di Genola has been at times described as ‘soft’ and ‘unobtrusive,’ but his success speaks of a determined and serene chief executive. His most recent appointment comes after the turbulent departure of Cesare Geronzi. The infamous Roman banker left the organisation in a fairly difficult position, and it has been di Genola’s primary aim to radically change things. Under Geronzi, the company’s combined ratio worsened from 97.9 percent to 98.8 percent between 2005 and 2010. The combined ratio is the first stop measure of an insurer’s efficiency and amounts to the sum of overhead costs and reimbursement claims in relation to total premiums: the lower the better. Under di Genola, the figure was back under control, clocking in at 96.5 percent for 2011. This means the core underwriting business is still profitable, even without factoring in any of Generali’s many investments. Di Genola is certainly well-prepared for challenges. Though he has a law degree from the University of Rome, the CEO has always worked in finance. After receiving his MBA from Columbia University in New York in 1972, he assumed his first role as the head of financial analysis before being appointed to manage the international loans office. He joined Fiat in 1977, where he headed up a number of departments before being appointed to the role of director of finance. This was the beginning of what was going to be a long and fruitful relationship with Italy’s powerful Agnelli family. His first post as CEO was at the now-defunct IFIL Investments, the main company controlled by the family, in 1986 before moving on to its parent company IFI (now Exor) in 1993. In 2003, he took charge of restructuring Mediobanca, which had been floundering since the death of its charismatic founder Enrico Cuccia four years earlier. Di Genola has been credited, together with a group of advisors, with coming up with the strategy that has helped restore the investment bank to its former glory and increase its international standing through a number of successful mergers and acquisitions. In recent years, he has become known as a sort of jack-of-all-trades CEO. In addition to his role at Generali, he is President of Brazilian mobile network giant Tim Brasil, Chairman of the board of directors of the Italian Institute of Technology and a member of the board of directors of Telecom Italia, among other roles. Di Genola has always been heavily involved with philanthropic organisations, such as: the Piedmont Cancer Centre; the Arco foundation, which provides support for addicts; and the Edoardo Agnelli Foundation, which supports disadvantaged people. For his incessant work on Italy’s financial stage, di Genola was awarded the Order of Merit in 1999 and made a Knight of the National Order of the Legion of Honour in 2007. But as the crisis endures in Italy, his position as Chief Executive at Generali – though successful so far – may prove his most challenging endeavour yet.